Michael McDonald & Chaka Khan comes to NYCB Theatre at Westbury on Friday 28th June 2019! Come and catch the groundbreaking, charisma fuelled diva and talented funk superstar, Chaka Khan as she performs LIVE this summer at NYCB! There's no time like the presence to ensure that you are part of the special night – tickets are NOW on sale, this can't be missed! Chaka Khan hardly needs an introduction as one of the biggest stars in funk, soul and R&B, she has rocked the house down on countless stages and transformed the music scene to create the world as we know it today. The American musician and songwriter first kick started her career all the way back in the 1970's as she started out as the lead singer for the funk group, Rufus. During this time her vocal ability shone through and she begun to receive attention from the media and fans alike, for her performance and her image. Chaka Khan quickly became the superstar she was always meant to be the "Queen of Funk" had arrived and was ready to showcase her abilities. In 1984, the R&B artist released "I Feel For You" – just the start of so much more success to come. To this day, Chaka Khan has won a whopping ten Grammy Awards, sold over 70 million records across the globe and released albums that have gained her enormous success. In total she has had three gold singles, three gold albums, one platinum album, along with her previous work in Rufus where she also gained four gold singles, four gold albums and two platinum records! A triumph that was just unheard of! 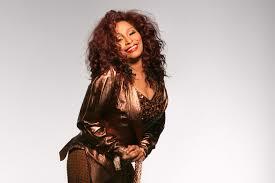 Of course with her funk infused solo career, Chaka Khan has also been featured on albums released by other artists and has collaborated with some fellow superstars including the likes of; Ray Charles, Quincy Jones, Mary J. Blige, Robert Palmer to name a few! As one of the most successful dance artists of all time – Chaka Khan is no doubt an unstoppable songstress that fans just can't get enough of… 2019 marks another exciting year as she embarks on tour with Michael McDonald!